If you own a pet you have more than likely experienced your pet marking his/her territory, having an accident or some kind of bizarre situation where your pet has soiled your carpet. Maybe you were able to get to it quickly and clean it as best as you could. Maybe you didn’t notice a stain but there is this lingering smell that you just can’t pin point. Whatever the case is, it is always best to maintain your carpet and take care of those areas your pet soiled in and those animal smells that we sometimes don’t recognize until someone says something. When living in a home with a pet we often adjust to the pet smell and don’t realize how our pets are stinking up the house! Those pet odors are imbedded into the carpet, furniture and just about anything they sleep or lay on. So what is the best way to take care of these pet accidents and odor? When it comes to cleaning or trying to get rid of pet stains and odors there are a few options. The most common option is to use an over the counter pet treatment that you can purchase from your local grocery store. However, these over the counter cleaning products are possibly just masking the odor and not completely taking care of the problem. More than not the formula you sprayed or poured into the carpet is still in your carpet even after dabbing or vacuuming the area. When solutions remain the carpet, especially soapy or sticky products, the residue is in the carpet attracting dirt. If you decide to use a portable carpet cleaning rental machine you run into the problem. The machines are not hot enough to sanitize or powerful enough to remove what was put into the carpet. Then you have your natural remedies that often include vinegar and baking powder. This option is the safest for a DIY carpet cleaning because over the counter products does come with a risk of discoloring or damaging your carpet. Although, you do tend to run into the same problem which is you don’t have a machine powerful enough to remove everything or hot enough to sanitize your carpet. When a pet soils your carpet you want to thoroughly clean your carpet and remove the germs and bacteria that go along with it. You also want to take care of those and not just mask them. Which brings us to your third option which is having your carpet professionally cleaned! Of course, the other options are cheaper but they are meant to be temporary solutions and not a permanent or the most effective solution. There are many professional carpet cleaners one could call; especially, here in San Antonio. However, unlike many of these professional carpet cleaners only Beyer Carpet Cleaning will be up front about cost for pet treatment, the process and the effectiveness. Beyer Carpet Cleaning San Antonio uses the highest quality equipment to steam clean and properly treat those pet stains and odor. There are carpet cleaners that will try to sell you this expensive over the top pet treatment that can run you hundreds of dollars. There are those use an effective topical treatment but will also charge you a pretty penny. With Beyer Carpet Cleaning they know one shouldn’t spend every dime they have to take care of something as simple as pet stains. They will not charge an extreme price for pet treatment and will not sell it to you if you do not need it, of course. Beyer Carpet Cleaning uses the best of the best topical treatment and odor eliminator. Although, they and no one, as a matter of fact, can guarantee that the spots will come out and not return or that the stains haven’t discolored your carpet, your odds are very high for the results you want! 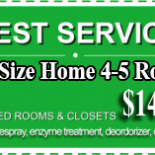 Beyer Carpet Cleaning automatically includes a spot treatment for your common stains and a mild deodorizer at no extra cost but when you add the pet treatment you will get the best clean and service possible for the best quality service. Their technicians have black lights that can pin point the pet stains so they know which areas need a little extra TLC. Their pet treatment includes enzymes, oxidizers and the best odor eliminator one can purchase. The pet treatment doesn’t just mask the odor but it eliminates it. 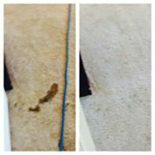 Their pet treatment tackles those tough stains that have been sitting in your carpet and breaks it down so it can be cleaned out. Their equipment is so powerful that it is going to extract the water, the solution and dirt. It also steam cleans at 200 degrees or higher to properly kill bacteria and germs. 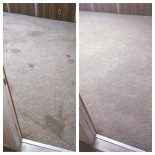 For best and most affordable carpet cleaning and pet treatment look no further than Beyer Carpet Cleaning. They will take of you, the customer, and your dirty carpets. The best part of using their pet treatment is that it can not only be used on carpets but tile and upholstery as well. They can and will take care of all your pet treatment needs.